Differences Between Brake and Shifter Housing & Tie-Dye Sneak Peek! We've had quite a few calls recently about the difference between shift and brake housing. It's probably because it's the time of year when people are swapping their winter bikes for their Spring/Summer/Fall steeds or overhauling their year-round'ers. Amongst all of the tasks to do during an overhaul, one of the key parts is changing out your cables and housing so your shifting and braking is crisp and friction free for optimal performance and safety. From the outside, brake and shift housing looks similar, but the differences are important. Brake housing consists of an inner liner, spirally wound stainless steel wire, and an outer plastic sheath. This design makes for good, consistent braking performance. Shift housing, similar to brake housing, uses steel surrounding an inner liner, and then coated in plastic to impede moisture infiltration. Brake on the left. Shift on the right. But notice the difference! Shift housing uses strands that run the entire length of housing rather than spiraling. This is known as "compressionless" shift housing. This design was mainly brought about for indexed shifting, where precision was important, otherwise you would get stuck between gears. You don't want to use shift housing for brake housing as it simply isn't designed to take the amount of force that a brake levers requires. Your housing will split and you'll have a bad time. You can use brake housing with friction shifting, but why would you when there is a better option? We do offer this retro stainless steel shift and brake housing. Mind you, the shift housing is only compatible with friction shifting for the aforementioned reasons. On vintage, steel racing bikes this housing looks so good. Your housing should have gradual, natural bends. If it's too long, you'll introduce more friction than necessary. And if it's too short, you'll have poor performance and potentially limit the range of handlebar movement. Use a file on the housing end to get rid of burrs prior to using ferrules to ensure proper, flush interface. Modern cables don't stretch like older cables did. Today, they come pre-stretched from the factory. 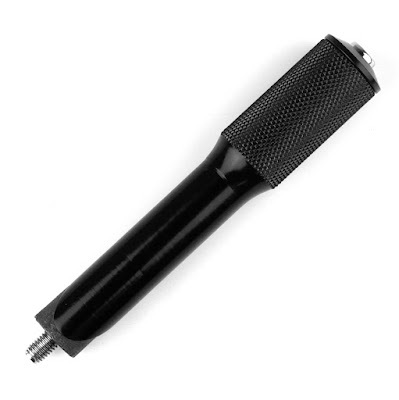 Any slop you experience soon after installation is most likely the ferrules settling onto the end of the housing by getting pressed against your cable stops. Release the cable from the pinch bolt, pull a bit more cable, and re-adjust. When you cut housing, the inner liner might close up. Use a dental pick, wooden tooth pick, or your trusty "Pokey-Spoke®" (a spoke that has been sharpened to a point) to open it back up. Totally unrelated, yesterday was a balmy 70°F, so we tied-dyed. We'll post photos next week once everything dries. It's hard to believe that it has been 3 years since we launched Casey's Crazy Bar. In a world of drop bars and flat bars, the Crazy Bar was polarizing. But, we'd be remiss if we didn't dig back further into the realm of alternative bars to an original one - the Daija Trekking Bar. I remember seeing these bars on bikes ridden by an older Austrian couple in New Zealand back in 2001. The bars fitted well with the front and rear panniers, rack top bags and trailer they were each pulling around the south island of New Zealand. 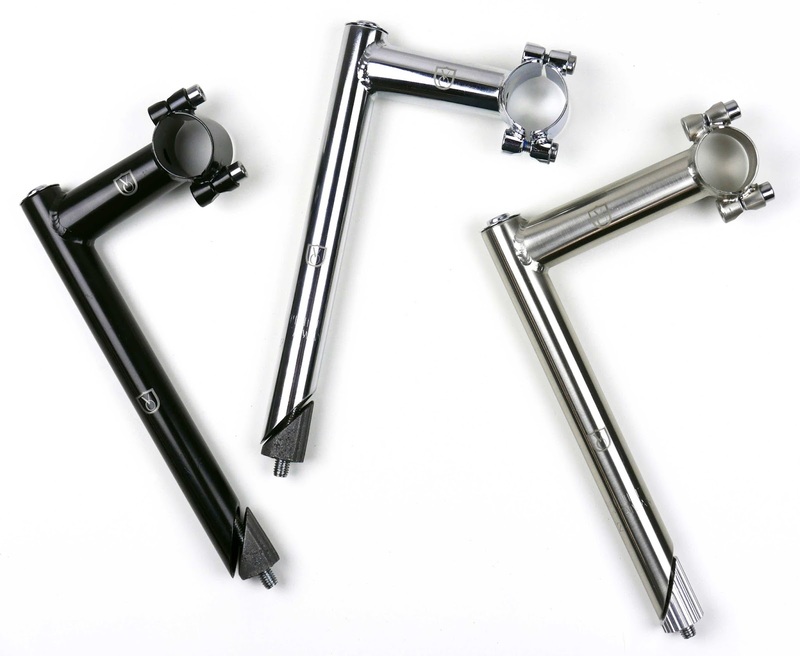 Compared to flat bars, trekking bars offer more hand positions. You can use the sides to rock up a hill, you can stretch out forwards in a headwind, or keep your hands close to the brakes and shifters. In terms of set up, there seem to be two camps. You either have the open end of the bars face towards you or away from you. A search of photos on the net shows more people run them with the opening towards the rider, thus keeping the brake levers and shifters close to you. Go ahead, do the Google search, we can wait. OK, so now that you have seen the myriad of cockpits out there, you can see how this bar is the ultimate in individualizing a handle bar. I've never seen flat bars or drop bars get built up with such a personalized feeling about them. In the photo above, we put tape along the sides, but you could easily use another set of grips there as well for more cushioning. For those of you who are now intrigued by these, some basic spec's - the clamp area is a 25.4 mm, standard for flat bars. 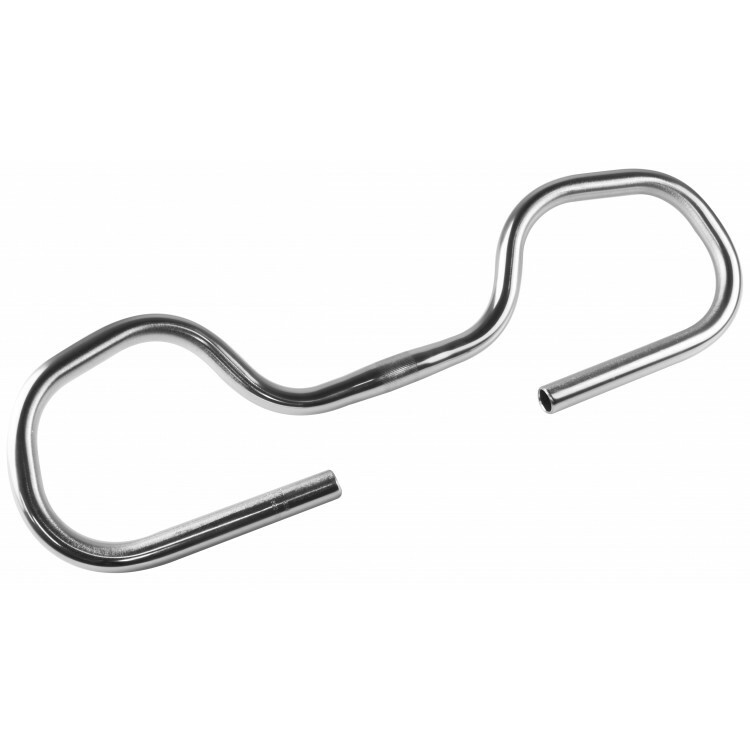 The straight section where your main grips, shifters and brake levers would fit is a 22.2 mm clamp area and is 15 cm long. They work best with a 25.4 mm threadless stem, as trying to get a quill stem around all those curves could prove to be a nightmare. 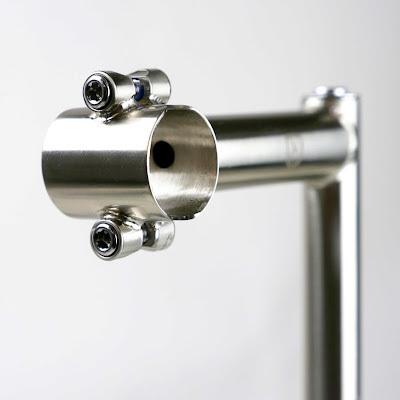 If you had a quill stem with a removeable faceplate, that would work as well (wink, wink, nudge, nudge). So how many folks out there are fans of alt bars and how many just want a flat bar with a bit of curve/bend to it? Being part of the Velo Orange team for a combined 10 years has always been an amazing and rewarding experience. We get to work with fantastic people and design and produce bicycle products that we sincerely enjoy. As we step into our new roles as owners, we’d like to share a bit of what we hope to accomplish. But first, we wanted to give all of our readers and customers a huge thank you. You guys and gals drive our passion to create, develop, and launch products that have a foot in both worlds of yester-year and today. Thank you. Aside from losing Chris and Annette, who will be sorely missed, all staff will remain. 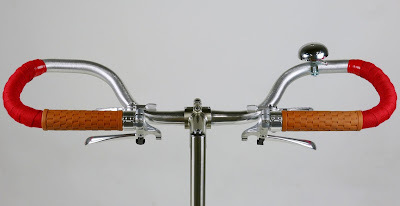 So expect to get the same exemplary customer service out of Velo Orange, with timely shipping and familiar ordering. From a product standpoint, development within our niche is exciting. Sometimes it’s a classic concept that has been lost to obscura, and other times we come up with an idea that is totally unique. Either way, we will strive to keep you updated through our various social media avenues. Be warned, we do enjoy teasing drawings and prototype photos. And as always, safety and function is paramount to us, so we will ensure that every single product VO offers will be tested to the appropriate standards for its intended use both in the lab and on the bike. Content generation is the lifeblood of any successful business, so expect more tour reports, show and expo participation, and general cycling musings. Cycling is our passion. 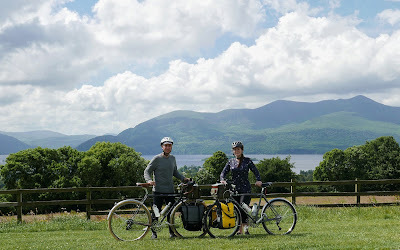 Adrian and I, and the VO gang, have long resumes of cycling: traditional touring, randonneuring, bikepacking, cyclo-crossing, road racing, fixed gear-ing, and mountain biking - we’d like to share more of these stories with you. We are excited to continue VO’s direction of quality, affordable, reliable products with vintage flair for cyclo-tourists, commuters, and city riders. It is what VO was built on. If you have a good chunk of time free, please explore the blog from 2006 onward. There is a lot of valuable insight, interesting bike parts, and great discussions from VO’s early years. Website is Back Up and Restocked! 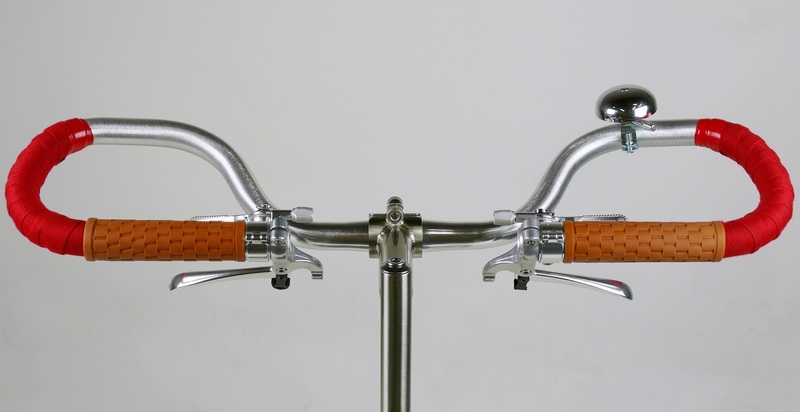 Thank you for your patience; velo-orange.com is back up! 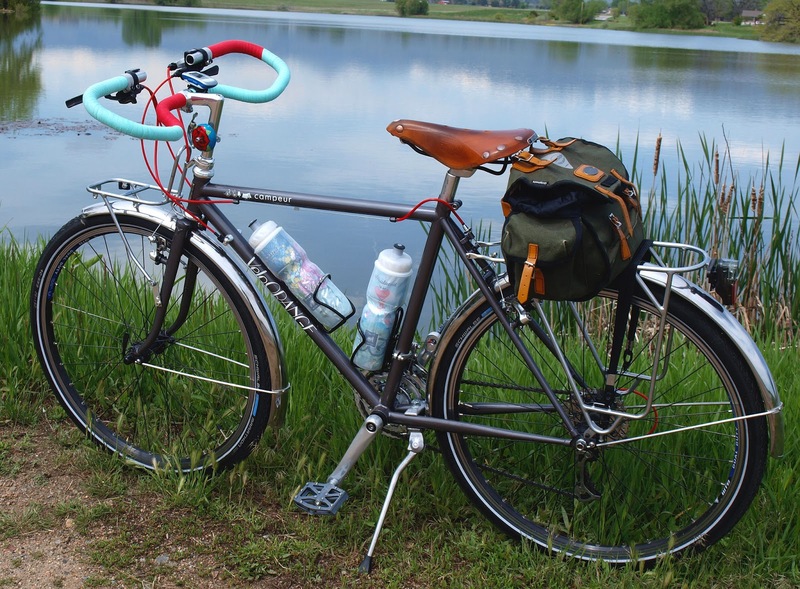 And we've restocked a ton to boot - Porteur and Campeur Racks, Fenders of all shapes and sizes, Seatposts, Bottom brackets, Bottle cages, Cables - Bam! We've also got our new Happy Stems. If you need to get some more rise, this'll do the trick. It has a 45 degree angle, 31.8 clamp, and is available in 90 and 110mm extensions. The VO web store will be undergoing maintenance for about 48 hours. 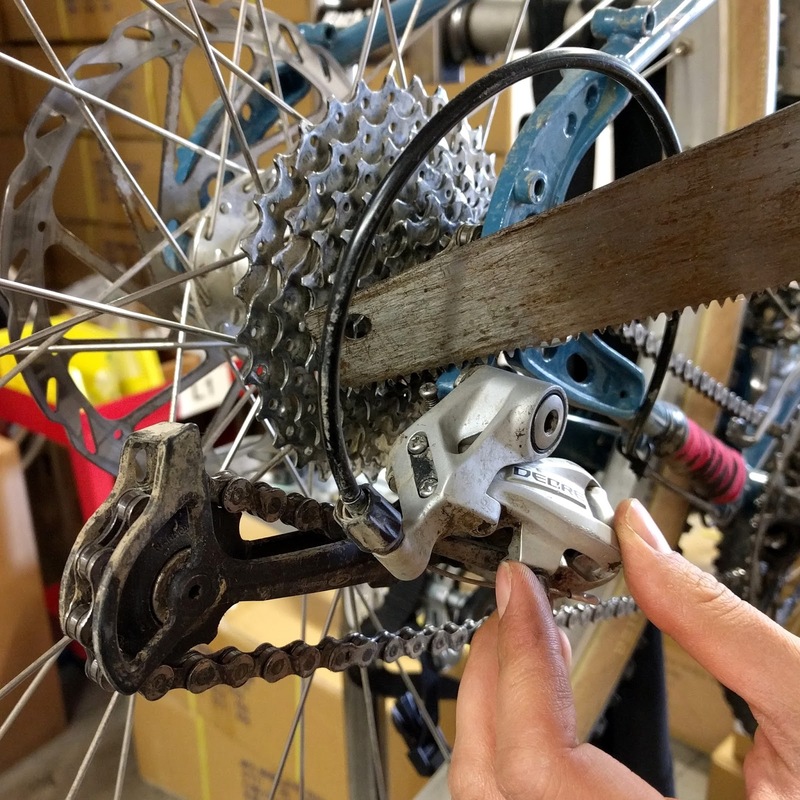 We'll grease everything, replace some the bearings, run new cables, and more. It'll be shut down tonight at around 5pm ET and be back up again late on the 9th, so if you need anything shipped right away please order in the next few hours. We won't even be able to sell stuff in the showroom since the whole sales system will be down. I can't wait to get these stems in! They look fantastic and I think they're going to be useful for a lot of builds. We received final prototypes earlier in the week and they're ready to be put into production. This should keep them on schedule for the Spring! Other than a few minor aesthetic differences, these are the new stems. The logos will be centered and removed from the quill portion. 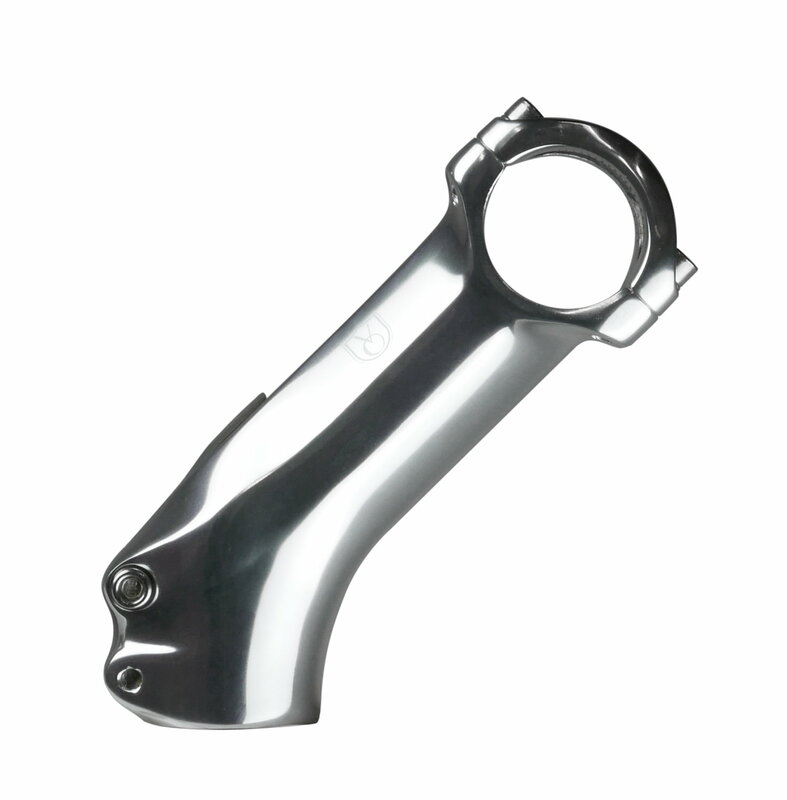 They will be supplied with the alloy wedge shown on the far right stem. 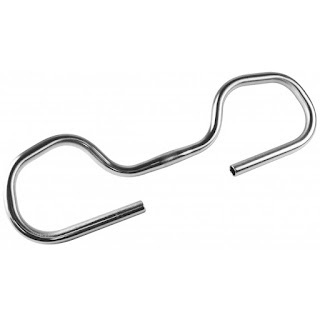 You should be able to run just about any bar with these stems. We have some shims on the way for folks wanting to run smaller diameters too. In addition to the new quill stems, we're also finished prototyping the quill adapters for the Cigne stem. We should have them around the same time. They'll look good on old school mountain bikes, touring bikes, or really anything with a 1" threaded fork that needs bars up high. Look forward to two great options to dial your bar fit!